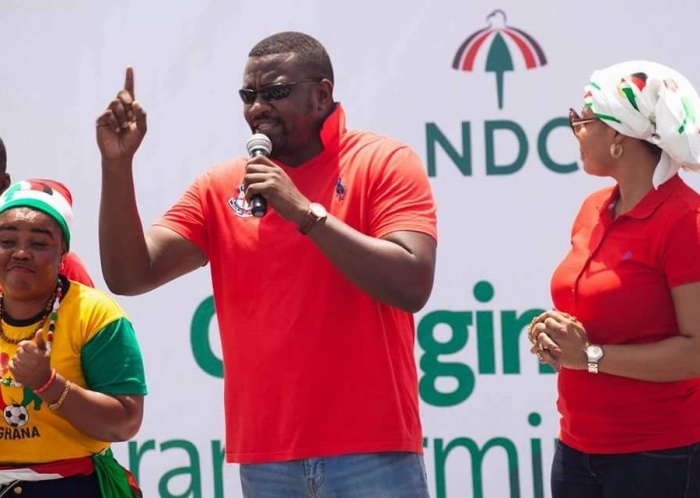 The opposition National Democratic Congress (NDC) is not going to give any chance to celebrity, to run its campaigns in 2020 as it happened in 2016. Mr. Dumelo was one of the right hand men of ex-president John Mahama in 2016 from the entertainment industry. He was seen on nearly every campaign platform with the former President. And after the former President was ousted, he (Dumelo) was hit with an alleged car stealing scandal. He was alleged to have stolen a V8 Toyota Landcruiser belonging to the state apparently during the transition period. However, as 2020 approaches and apparently after learning from its 2016 mistakes, the largest opposition party NDC is scheming to brush aside celebrities and use ‘serious’ minded party members who ostensibly understand the dynamics of Ghanaian elections for its campaign. According to him, the NDC has enjoyed movies and music from the likes of Mzbel, John Dumelo, Mzbel, Tracey Boakye, Mr. Beautiful, Abeiku Santana and other celebrities but will not use them for campaigns again because they seem ‘clueless’ about the party’s history and philosophy. He stated clearly that cadres, party executives at the regional and national levels would be in charge of campaigns.